Where there is smoke, there is …. Smoke alarms for the home, office and in shops are an essential part of our daily lives in Brisbane and there are three reasons why you should have a minimum of one smoke alarm, preferably more in any property you own or rent. 1 It is against the law in Queensland to not have a smoke alarm on your home or business premises. 2 Having a smoke alarm installed could save the lives of you and your family. 3 Having a smoke alarm installed could save your property. How Important is it to have a Smoke Alarm in Brisbane? Smoke alarms are very important safety devices and without one you are three times more likely to die in a fire related death than if one is installed. Within Queensland approximately 75% of fire related deaths are in home without that do not have a smoke alarm correctly fitted. Approximately 50% of all smoke related deaths happen when people are sleeping. Smoke alarms are a very effective way of giving an early warning against fire. The alarm detects the smoke and alerts you to the danger, giving you a much better chance of escaping from a fire. Smoke alarms are relatively cheap items and installation costs are not expensive. It is vitally important that smoke alarms are correctly fitted in the positions that will aid you should you need to escape from a fire in your home or workplace. In the home they should be placed on or close to the ceiling in the hallway and in or close to bedrooms. If your home or workplace extends over more than one floor then at least one smoke alarm should be positioned on each floor. You should not position smoke detectors close to external doors, fans or air conditioners as the movement of air can make the detector in the smoke alarm less effective. The best type of smoke alarms to install are 240-volt alarms, these are much more superior quality than nine-volt smoke detectors. Their reliability is far greater and they can be easily connected to other alarm systems in the home or business premises. In Queensland the government recommends that all smoke alarms be photoelectric as these are more effective than ionization alarms. The government in Queensland introduced new legislation to comply with the federal electrical and fire safety regulations that are in place under Australian law. 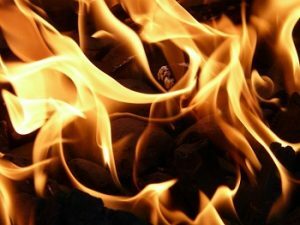 The regulations state that smoke alarms in Brisbane must be in place to give sufficient early warning to prevent casualties in the event of a house fire. All owners of residential properties must comply with these new laws concerning smoke alarms in Queensland. New legislation introduced on the 1st of January 2017 requires all residential properties in Queensland to install or have installed interconnected photoelectric smoke alarms. They should be positioned in all bedrooms, hallways and other areas of the house on every level. 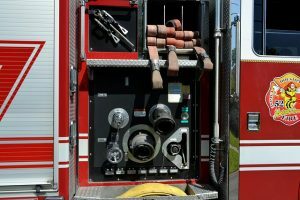 This new legislation specified that all persons living in a dwelling will be alerted to a fire no matter what room they are in or in what room a fire may start in. Photoelectric alarms are also known as optical or photo-optical alarms and are able to detect smoke or other forms of combustion in its early stages to give ample warning to enable everyone to escape from a fire. All alarms should comply with Australian Standard 3786-2014 and be under ten years old. The alarm must be hard-wired to a 240v power supply or to a non-removable battery that has a life of at least ten years. If you purchase a new smoke alarm you should ensure it carries the label of the Australian Standard, ActivFire Certification and the Scientific Services Laboratory. When smoke alarms are installed they must not be within 300mm of a light fitting or a wall or ceiling’s corner. They should also be least 400mm from the blades of a ceiling fan and of an AC vent. The Queensland Fire and Emergency Services recommend that all households update their smoke alarms to comply with this new legislation. Residential property owners are also recommended to maintain their smoke alarms regularly to ensure they are working correctly and to practice a fire evacuation plan to ensure everyone living in that property knows what to do in the event of a fire. Do not get behind, call Michael on 0419 713 204 for an appointment! The new legislation for smoke alarms in Queensland is to be introduced over a ten year period in three phases. 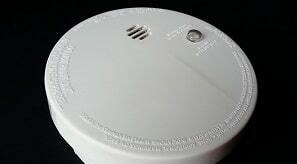 The first phase introduced on the 1st of January 2017 required all new dwellings or households being renovated to have smoke alarms installed that comply with the new legislation. Any smoke alarms that are over 10 years old must be replaced. By the 1st of January 2022 the second phase means that all homes that are leased and sold after this date as well as any existing leases being renewed must comply with the new legislation. The third phase which comes into effect on the 1st of January 2027 concerns all private homes, townhouses, units and other dwellings. By that date everyone in every dwelling in Queensland should have smoke alarms that comply with the legislation. To ensure that your home is compliant with the regulations that surround the new laws regarding smoke alarms in Brisbane and Queensland you might want to have yours checked by a professional like Michael. We can ensure all of your smoke alarms are up to the required standard and replace any that do not meet this requirement leaving you to sleep peacefully knowing you have the best and safest cover available. Call us on 0419 713 204.